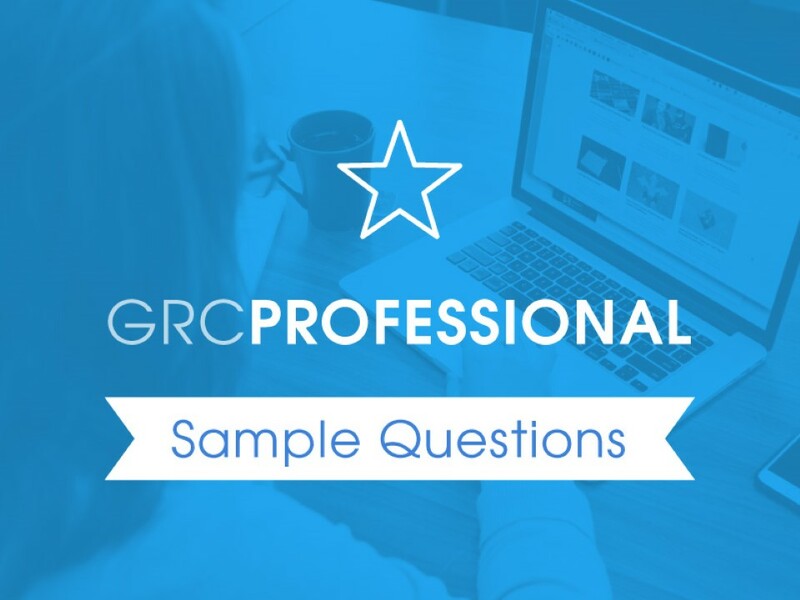 Sample questions and answers for the GRC Professional (GRCP) exam based on the GRC Capability Model. Sample questions and answers for the GRC Professional exam based on the OCEG GRC Capability Model. These are live questions in the test databank and these may appear on your exam. Individual exams of 100 randomly selected multiple choice questions are created by the system from a test databank of almost 300 questions. The order of the questions and the order of responses is randomized for each individual. The exam is based on the GRC Capability Model. You must answer 70% or more of the questions correctly to qualify to receive your GRC Professional certification. Scott is the founding chairman of OCEG, global nonprofit that creates authoritative resources for achieving Principled Performance by integrating GRC. We have emailed instructions to access Sample GRC Professional (GRCP) Certification Exam Questions to . Make sure the email arrives in your inbox: either add "support@oceg.org" as a safe sender to your email platform, or if you use Gmail, drag our email into your Primary tab.